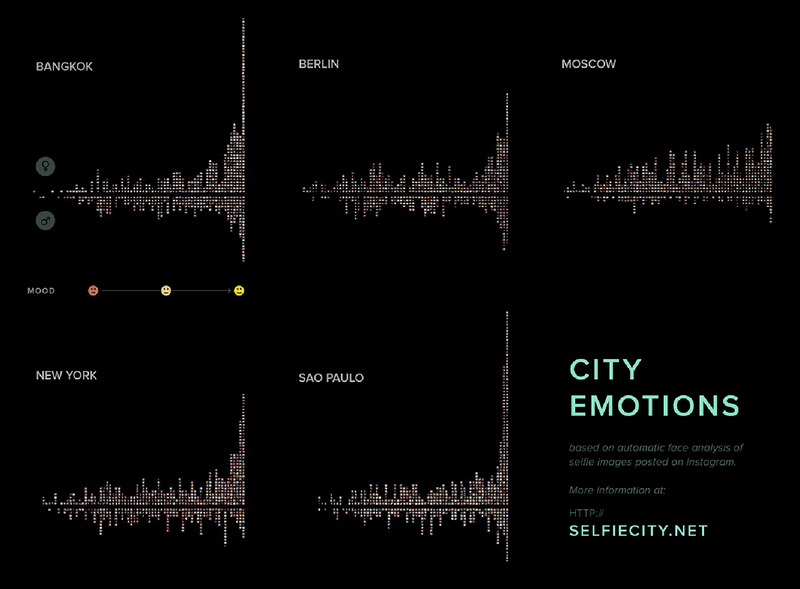 Selfiecity investigates the style of self-portraits (selfies) in five cities across the world: Bangkok, Berlin, Moscow, New York, and São Paulo.The project analyzes 3200 selfies shared on Instagram (640 from each city).Selfies were already subject of many discussions in popular media. 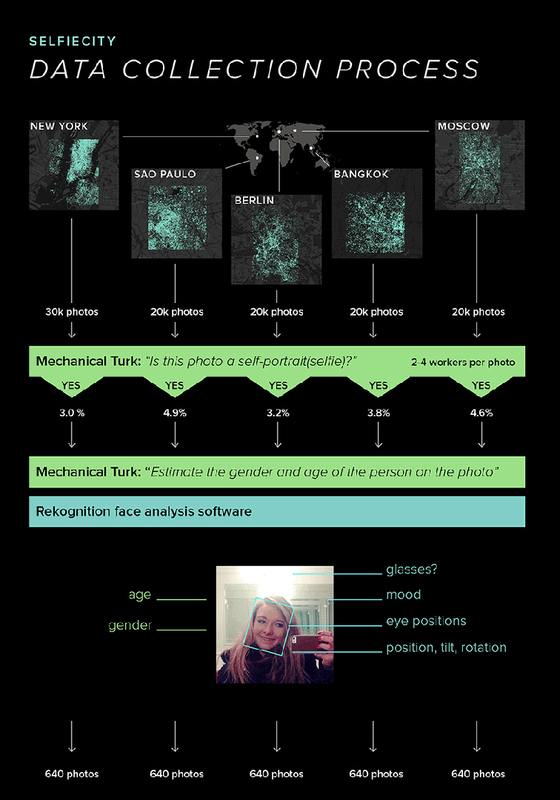 However, if we simply scan images tagged as selfie on Instagram, or observe people around us taking self-portraits, it’s hard to quantify patterns, or systematically compare selfies from multiple cities taken by people who differ in age and gender. Are all selfies taken by young people? 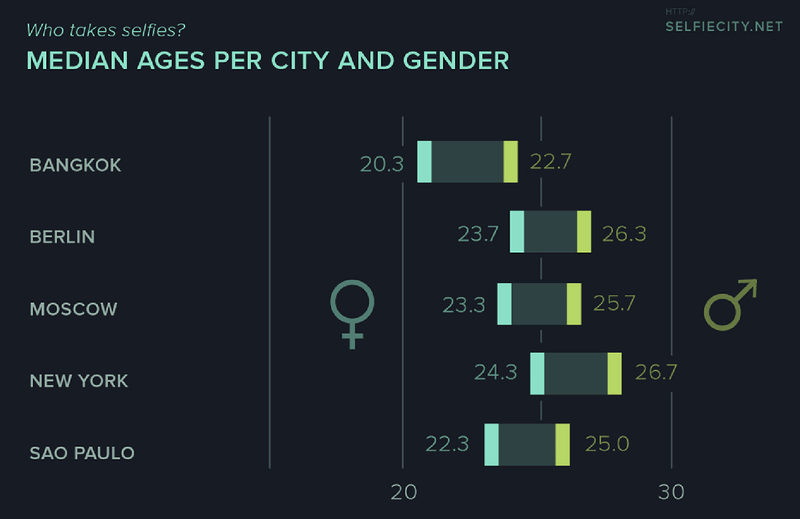 Do men take many selfies? Are we all trying to copy celebrities in choosing how we represent ourselves? 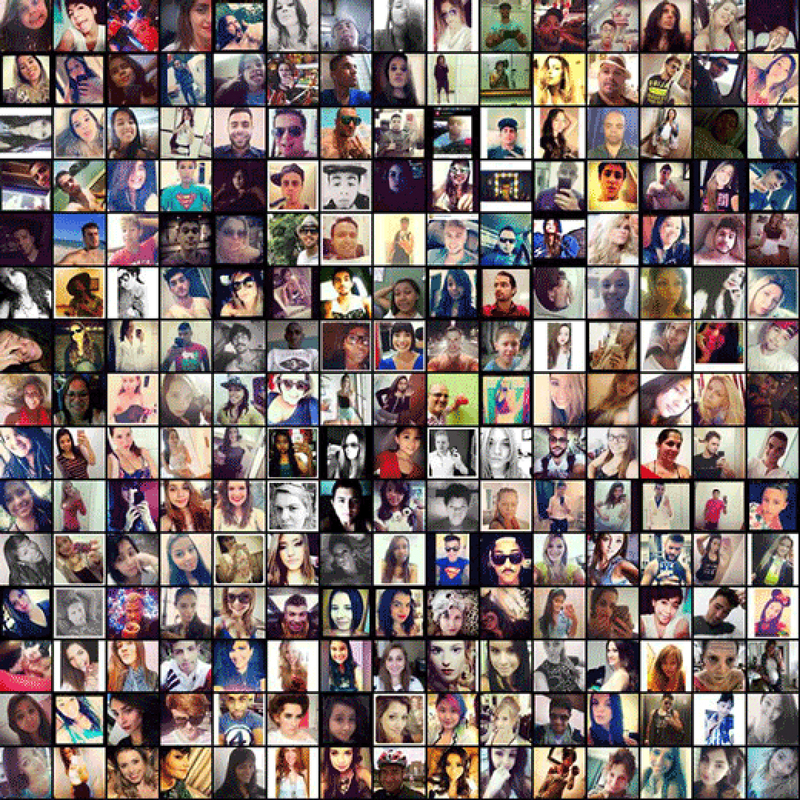 Are there any significant differences between selfies shared in New York and Moscow, or Berlin and Bangkok? 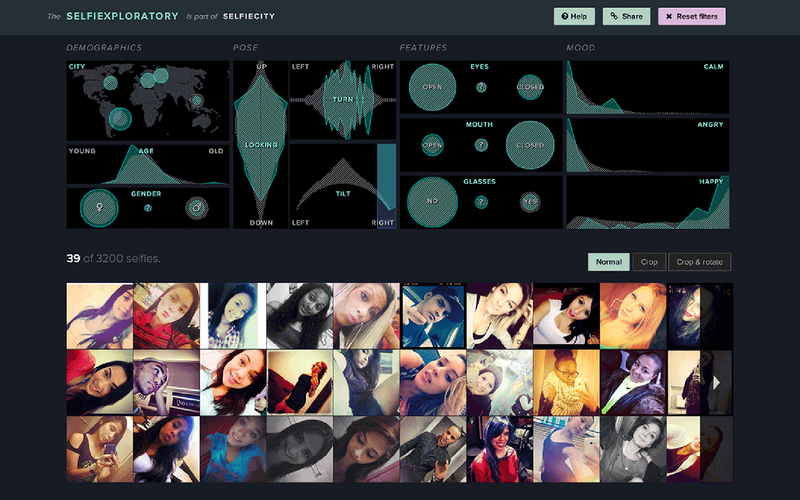 Selfiecity is the first project which investigates such questions systematically, using carefully assembled large sample of selfies photos and tools of statistics, data science and data visualization.